WASHINGTON: Climate change could force an additional 100 million people around the world to live in extreme poverty by 2030, warns a new World Bank report. 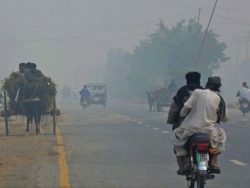 In Pakistan, climate change can reduce the income of the bottom 40 per cent by more than 8 per cent, the report warns. It shows how this change makes it more difficult to produce crops and the resulting reduction in crops pushes food prices up, which then leads to big increases in extreme poverty in most countries. The severity of poverty impacts will vary among countries — with Pakistan, Guatemala, Sri Lanka, Tajikistan, and Yemen among the worst hit. 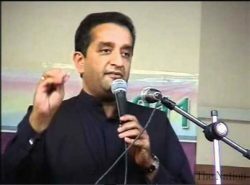 In describing how a natural disasters affect the poor more than it does the prosperous sections of the society, the report notes that the 2010 floods in Pakistan destroyed 2.1 million hectares of agricultural land, decimating production and sending prices of wheat upward of 50 pc above the pre-flood level. After the floods, incidence of infectious disease and diarrhoea also increased as the floods affected the quality of water. Ongoing efforts to eradicate polio were also interrupted, further setting back Pakistan’s agenda for getting rid of the disease. The report warns that around the world, climate change could lead to a 5 pc decline in crop yields by 2030 and 30 pc by 2080. Disease spread during extreme weather events also threaten to exacerbate global poverty. 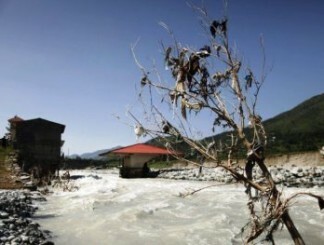 Poor countries face the most risk as global warming worsens, the report adds. South Asia, and Sub-Saharan Africa, will be among the worst hit by higher temperatures, the report predicts where poor households will be more vulnerable to increases in food prices. The report notes that poor communities are often built in areas most susceptible to the risks of climate change like flooding. Poor people lose more when a natural disaster strikes. 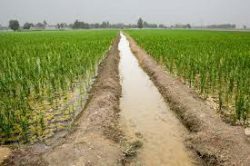 Disasters can destroy crops and seed reserves, destroying productive assets in agricultural communities and sparking food price shocks, as occurred after the unprecedented 2010 floods in Pakistan. At the global level, warming could increase up to 2-3 C by 2030, which will also increase the number of people affected by up by 5 pc and by diarrhoea by 10 pc. “We have the ability to end extreme poverty even in the face of climate change, but to succeed, climate considerations will need to be integrated into development work,” says John Roome, Senior Director for Climate Change at the World Bank Group. “And we will need to act fast, because as climate impacts increase, so will the difficulty and cost of eradicating poverty,” he warns.